During the past hundred years the government has granted citizens further political and social freedoms, while at the same time assuming new responsibilities for managing the lives of ordinary people. The 20th century also saw the introduction of universal suffrage in Britain. Previously, only men had been entitled to vote in parliamentary elections. 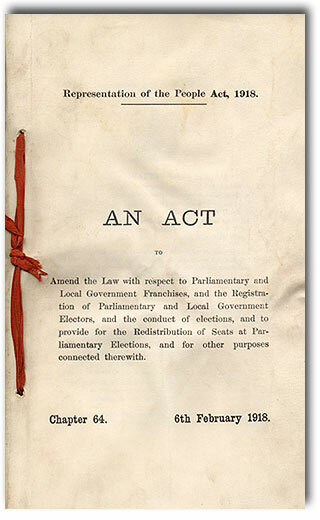 The Representation of the People Act 1918 was the first, though limited, legislative step towards giving women the vote. Yet the vote was only one of many changes that women had to fight for, along with opportunities for employment and education, the reform of marriage and divorce laws, and the provision of pensions for widows. At the beginning of the 20th century the state began to take responsibility for providing welfare measures ranging from free school meals for children to pensions and health and unemployment insurance. A precedent was thus established for state intervention, which increased as the power of central government grew. 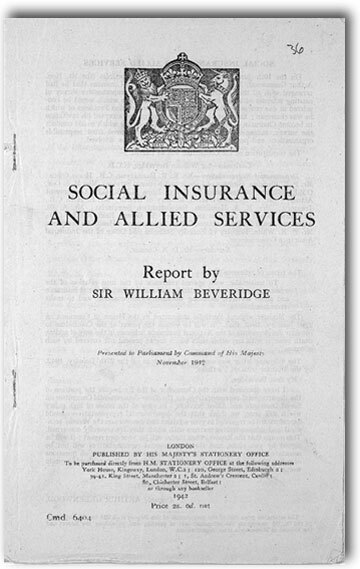 This culminated after 1945 in the creation of the 'welfare state' - based on the Beveridge Report (1942) - whereby the government took on the task of looking after its citizens 'from the cradle to the grave'.